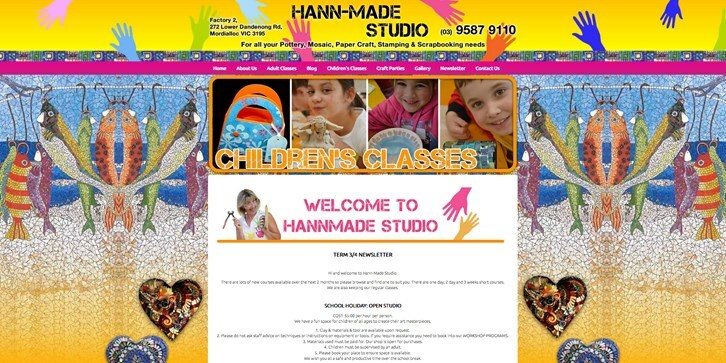 New Website Launched for Hann-Made Studio! We are pleased to announce the launch of our brand-new website, using the latest technologies and techniques to provide our website visitors with blazing fast speed, and quick, easy access to the latest products and services we offer. Their website platform is so much more than the 'blog with a theme' products most competitors offer - it's a purpose built enterprise level CMS system (EasyPage), hosted on the world's largest Content Delivery Network, so it's infinitely flexible, and it's also blazing fast. The EasyPage CMS platform is continuously fine-tuned by SEO professionals to offer the absolute best organic search engine results possible, with lightening fast response to search engine algorithm changes as they happen, implementation of all the latest web technologies, and support for all the popular web browsers and devices. In short, it's an SEO powerhouse that works everywhere! Their CMS platform also includes some fantastic features (as standard) that other firms wanted to charge the Earth for, or in some cases, simply just couldn't do to any level of satisfaction. We truly hope you enjoy your time on our new website as much as we do, and thanks so much to Tradingpost and Unique Websites for such a fantastic product and for making it all easy!